Bearings are offered in many designs based on application. Each bearing design has specific radial and axial load ratings. 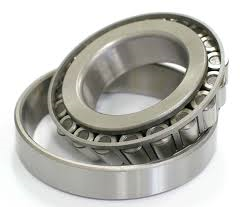 We offer thousands of bearings from over 20 manufacturers including SKF, TIMKIN, NTN, NSK and FAG. Bourdon Tube pressure gauges are the most common used. They offer precise, reliable measurements without any external power source. The are durable and offered in a wide range of dial sizes and pressure ranges. Pressure gauges are available in different materials depending on the application. 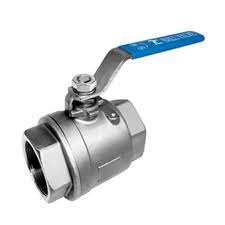 Threaded Ball valves are available in Stainless Steel, Carbon Steel, Brass and PVC. They are offered in standard port and full port, in one piece, two piece and three piece. Sizes typically range from 1/4" to 4" depending on type of valve and material of construction. Ball valves and are typically used in on/off applications where flow regulation is not required. ANSI flanged ball valves Sizes typically range from 1" to 12". These valves are available in Stainless Steel, Carbon Steel, Lined and Composite. Flanged ball valves are manufactured in a wide range of materials with an even wider range of seat and seal material available. Ball valves and are typically used in on/off applications where flow regulation is not required. Butterfly valves are typically used where regulation of flow is required. Operation is similar to a ball valve, with the exception that the closing mechanism takes the form of a disc. Butterfly valve are favored in some applications as they are typically slimmer in design than ball valves and lighter weight. Butterfly valves are offered in a variety of body and seat material combinations depending on the application. Belts are the cheapest utility for power transmission between shafts. Power transmission is achieved by specially designed belts and pulleys. They run smoothly and with little noise, and cushion motor and bearings against load changes. They need no lubrication and minimal maintenance. They have high efficiency, high tolerance for misalignment, and are offered in many sizes and designs depending on application. Also known as Cam and Groove Couplings. Cam-Lock Fittings are used to quickly connect or disconnect hoses, fittings, pipes and adapters. These fittings are typically used for the transfer of liquids, but can also be used with some solids and gas applications. Most popular in the Petro-Chemical Production facilities and the transportation of these products. These products are specific to the industrial management of solid and liquid product and waste. Category includes filter socks and cages, band-clamp style pipe, fittings and clamps, PRV's, Gate Valves and more. Needle valves are used to regulate flow. These valves are offered in pressure ranges up to 60,000 PSI. Typical connections are NPT. They are also offered in compression connections and high pressure applications have special thread and sealing designs. We offer many more products than are listed on the website. please contact us with your product inquiry.